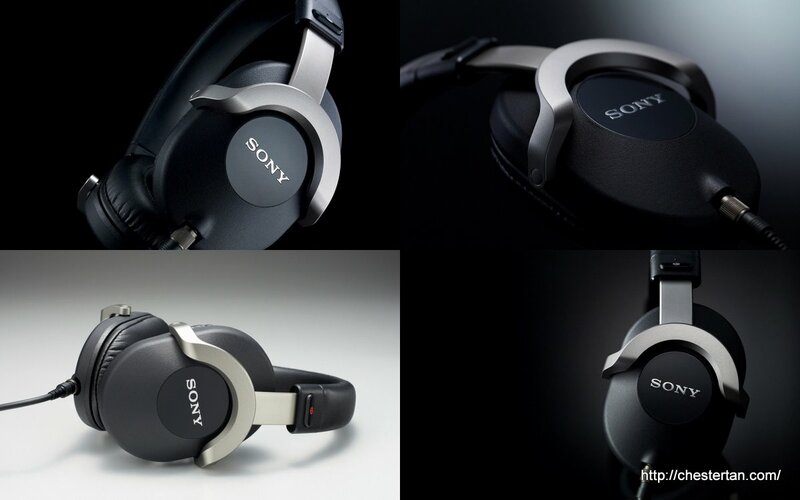 On 14 June 2011, Sony Electronics Asia Pacific officially launches the new high performance monitor series headphones – the MDR-EX1000, MDR-EX600, MDR-EX510SL, MDR-EX310SL, as well as the flagship professional studio monitoring headphones, MDR-Z1000. 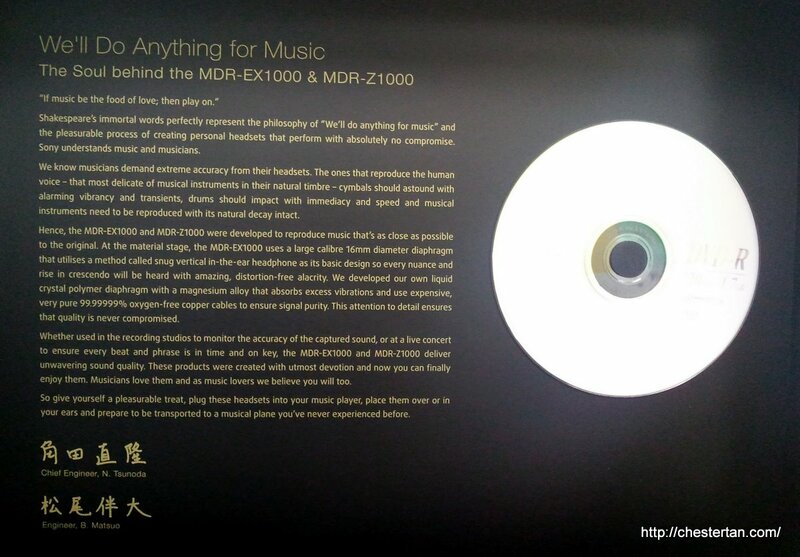 On the same day, Waggener Edstrom (PR agency for Sony) couriered me the MDR-EX1000 and MDR-Z1000 for my review. Underneath the top box compartment is a carefully-crafted message signed by the Chief Engineer, N. Tsunoda and Engineer, B. Matsuo, of the headphones and a DVD of media photos. Removing the cardboard finally reveals the headphones. On the left is the MDR-EX1000, the row of colour-tagged earbuds with 10 different sizes. On the right is the MDR-Z1000. 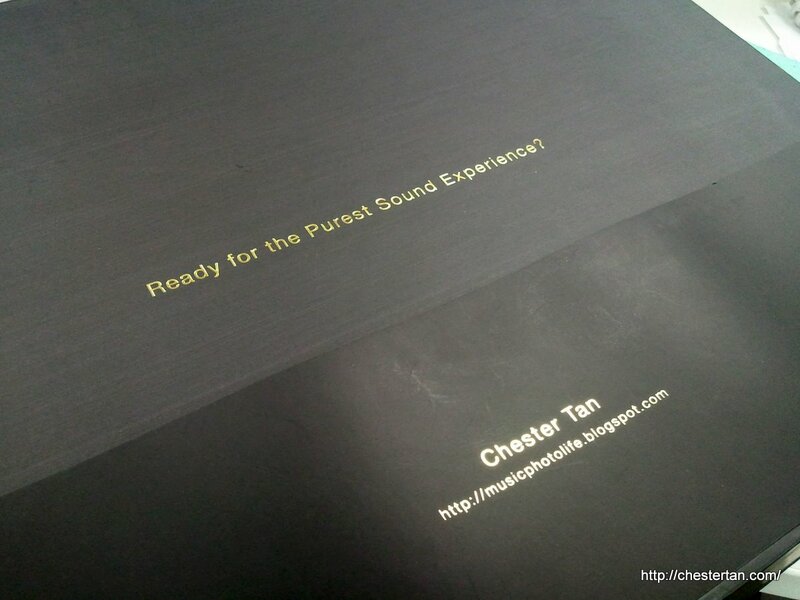 Such attention to detail even for a media package! I am mentally prepared for an audio experience as promised! 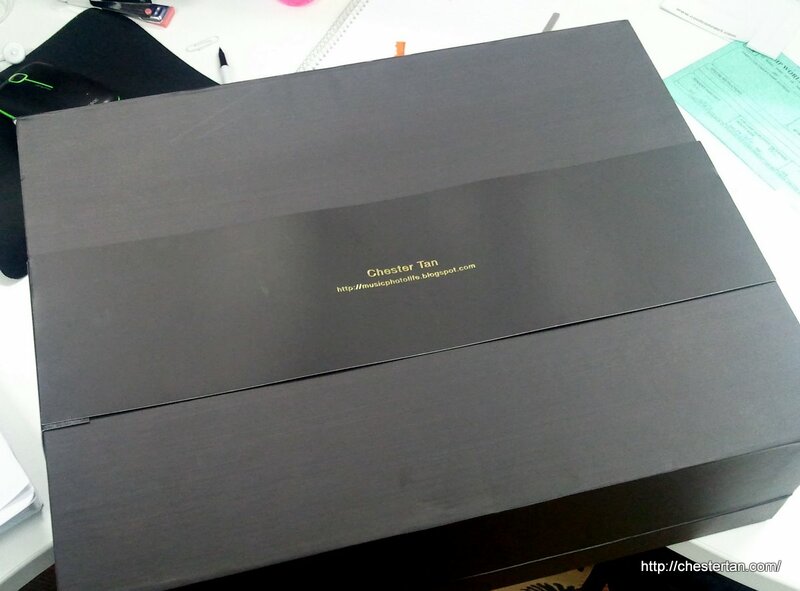 The design is a luxury. Lightweight magnesium alloy housing and silky-soft urethane cushions offer me the much-needed comfort. The headphones are driven by 50mm driver units that uses newly-designed liquid crystal polymer film diaphragm, delivers a frequency response of 5 – 80,000 Hz, low 24-ohm impedance and high 108dB/mW sensitivity, and wired by 7N OFC Litz cord. So, how does it actually sound? Making comparison to my S$120 Sennheiser HD215, while the MDR-Z1000 is priced 5 times more, it does not sound 5 times better. The MDR-Z1000 sounds warmer and delivers more bass than the HD215, yet the high frequencies are still delivered without compromise. The soundstaging of the MDR-Z1000 is tighter than the HD215 and offers better acoustic isolation. The headphones feel more secure around my ears without discomfort. I can’t say which of the two I would prefer, but it’s certain that they both offer different tonality to the kind of music you are listening to. MDR-Z1000 excels in delivering a warmer sound and controlled treble frequency without sounding noisy. I also prefer wearing the MDR-Z1000. Its asymmetrical left-right design gives an ergonomically perfect fit (you can’t wear the headphones the other way round). I have owned quite a few in-ear headphones, none of them quite made for professional use. The reason for not investing in one is that I seldom indulge myself in personal portable stereo listening since I do not commute to work in public transport. So I am contented with the occasional listening of the stock headphones that come with the gadgets I bought. I remember during my Secondary school days, I was very particular with the quality of my personal stereos, and my audio investment is exclusively on a pair of top-grade Sony earphones. After more than 2 decades, I finally got a chance to re-experience Sony earphones. The MDR-EX1000 is the most comfortable pair of in-ear monitor headphones I have tried. All the other in-ear monitor headphones felt uncomfortable and “intrusive”, so I usually prefer to use the traditonal earbuds headphones. The magnesium alloy housing units do look unusually large against the ears, but it’s surprisingly light and the weight is distributed as the cables looped over the ears. Instead of hard plastic mould, the loop is made of flexible material that is easily shaped to fit around your ears. I like how the sound is balanced across the entire frequency spectrum, produced accurately from the original source. The bass is not as encompassing as the MDR-Z1000, but that’s to be expected due to the obvious driver size difference. If the headphones are used at outdoors where there’s lots of ambient noises, you might not get the optimal audio quality. So I would recommend that you use this for portable monitoring of quality audio tracks. It’s a privilege to review the 2 top-range headphones from Sony. They are truly delightful to listen to and offer great comfort. If price is of any indication of quality, then these headphones might not be the ultimate best in the market – there are headphones that cost above US$1000! Still, it’s good to know that Sony has produced their very best. Price-aside, every person’s audio perception and sensitivity is different. So the only way to judge is to experience yourself – if you get the chance – and decide if you like what you hear. How much did the whole set cost you? 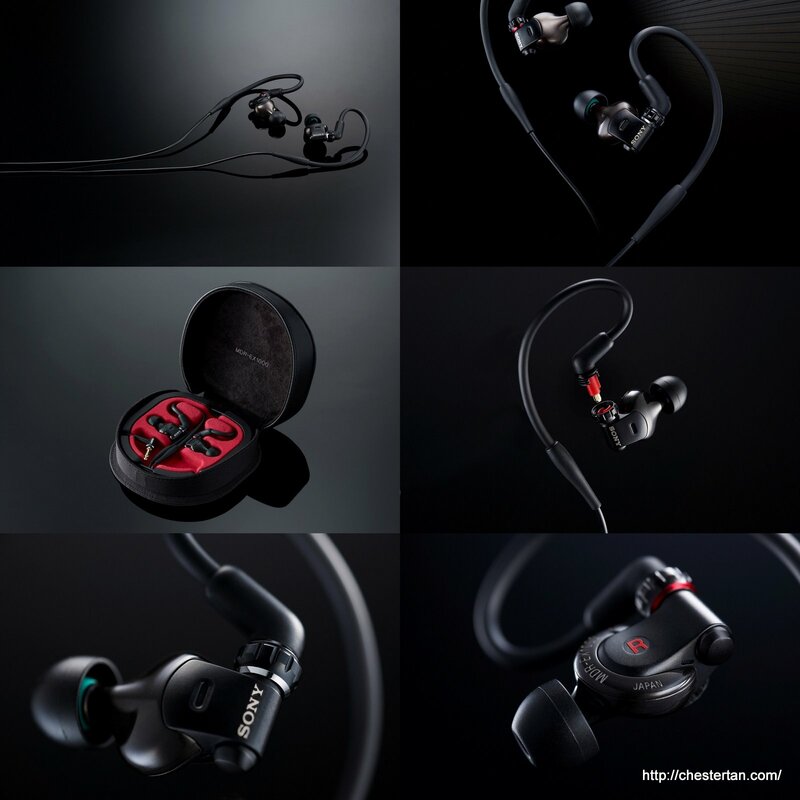 The headphones both retail about S$795 each.